Two important news factors will influence GBPUSD on coming days, Manufacturing PMI on Friday and the Bank of England chairman’s performance on Thursday. Early on Tuesday GBPUSD fell but rose to 1.4366 later therefore 1.4500 level is staying resistive and this level breakout will be a strong buy signal for traders. 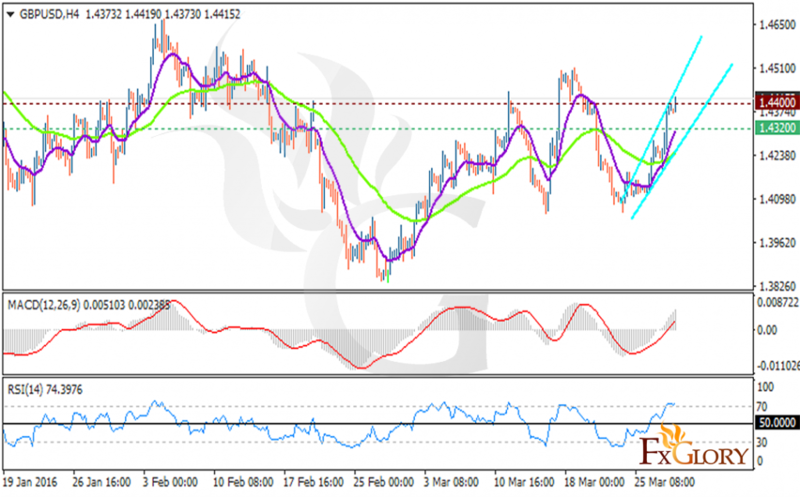 The pair is finding support at 1.43200 with resistance at 1.44000. The EMA 11 is currently above the EMA 50 and the RSI is above the level 50 confirming the price growth. Moreover the MACD indicator is in positive territory endorsing the bullish pattern. After the resistance level breakout at 1.44000 buyers can expect price growth and target 1.4480.